As a truck driver, you only want to work for the best trucking companies that are hiring in the industry. 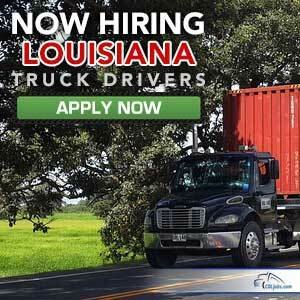 If you are looking for trucking jobs in New Orleans, Natchitoches, Baton Rouge, Shreveport, Kenner, or elsewhere in your home state of Louisiana, we have you covered. Take a look at the list of truck driving jobs below. You'll see that CDLjobs.com is the best place to find the best trucking jobs. We offer job placement with only the best companies in the business. On top of that, we care about the trucking lifestyle, so you'll find more than your next truck driver jobs here. From music on the road to scenery, you will find that we're not just about finding your next gig with trucking companies.